There is plenty parking for cars and trucks. We take care of your DOT Medical Card process and get it done right the first time at Drug Free Orlando! Access to the facility is convenient and there is ample parking. The office is very nicely done and well kept. The staff is very knowledgeable and professional. Appointments are on time, no waiting around. The doctor shows interest to your concerns and tells it like it is. Overall a very good experience and will be referring others. I find the service here is very convenient , the Doctor and his staffs are very kind I would recommend this Doctor to any one who would like to use this service. Thanks for your review. We truly value your analysis and we strive to continue to offer the same atmosphere to others needing DOT testing. It was great to meet you and we will see ya in a couple years! Thanks for finding us on google. Although you were new to our office, we consider everyone part of the World Health Wellness/Drug Free Orlando family! Dr. Smith is very attentive and knowledgeable . Highly recommended! Thank you very much for the rating. 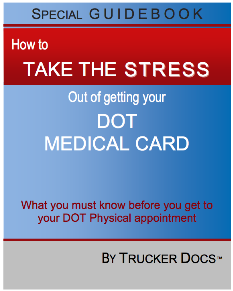 It was a blessing to help you with your DOT medical card certification. See ya next year! My husband mose visited your place,he liked the place so much..he say he going to recommend others to your place..he was very satisfied with the service.He will now always now use your service…Thank for being there!! Geraldine, thank you for searching us out and scheduling same day appointment. It was a pleasure helping to get Mose medically qualified as a certified DOT driver. See you all in 2 years. Friendly and professional. They had me in/out much quicker than any doctor visit before. This will be the office that I return to for my next exam. We look forward to helping in any way possible. Thank you for choosing us to help you maintain your certification. Very nice guy with a helpful and friendly staff. Highly recommend. Your words are kind. We value your endorsement! Thank you for your support. It is highly valued and appreciated.